BREAKING | World Cup winning team announces the Squad for the 2019 World Cup! 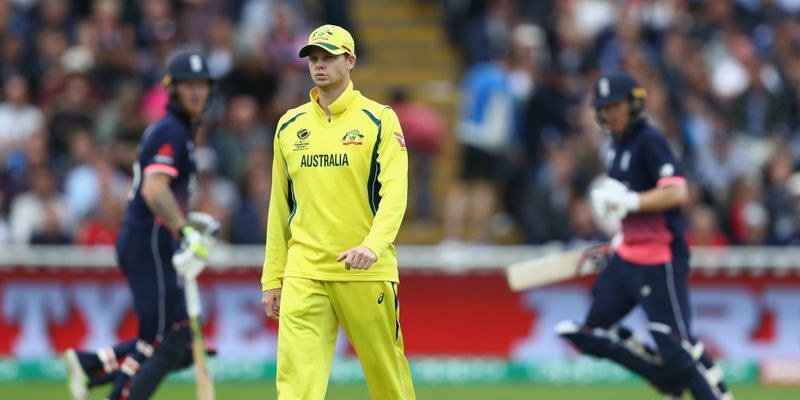 Steve Smith and David Warner, who will make a return to international cricket after a year, have been directly included in Australia’s 15-man World Cup squad. Wicketkeeper Peter Handscomb, who’s played all of Australia’s last 13 ODI games, and pace bowler Josh Hazlewood have been left out. Cricket Australia have named their 15-man squad for the upcoming World Cup in England and Wales, starting May 30. Trevor Hohns, the Chairman of Selectors made the announcement today and was pleased with the performance of David Warner and Steve Smith in a competitive tournament like the Indian Premier League. The southpaw has smashed 400 runs in seven matches so far, whereas, the former captain has had a decent run, having scored 186 runs at an average of 37. "Both are world class players and it has been pleasing to see them produce some good form in the IPL," Hohns said, in a Cricket Australia media release, reported Reuters. However, the exclusion of Peter Handscomb, who has an average of 43.54 with a strike rate of about 98 this year, has been a rough one. The Victorian batsman also doubles up as a backup wicket-keeper, but Alex Carey is the sole wicket-keeper in the squad. Another big name to be excluded is that of Josh Hazlewood, who has 72 wickets to his name in 44 ODIs, but has been out of action since January due to a back injury, and the rise of Jhye Richardson has not helped his cause. The New South Wales bowler has been away from competitive cricket for four months, but the selector hinted that he is a certainty in the squad for the Ashes, which takes place post the quadrennial event. "Having not played at the highest level for some time, we feel this will provide him with the best preparation to get some quality cricket under his belt," stated Hohns. "Our focus is to have Josh back bowling at his best for the commencement of a big Ashes Tour,” he added. With respect to the other batsmen in the squad, skipper Aaron Finch, Usman Khawaja, Glenn Maxwell and even Shaun Marsh make the cut. All the four batsmen have been in a terrific form off-late and played a major role in the Kangaroos’ series victory over India and Pakistan. Leg spinner Adam Zampa and off-spinner Nathan Lyon are the two spinners in the side. The defending champions will be among the few sides which will field a finger spinner in the mega tournament. Mitchell Starc, Jhye Richardson, Nathan Coulter-Nile, Jason Behrendorff will form the pace quartet, whereas, Marcus Stoinis will play as the lone all-rounder. Australia will start their campaign on June 1 against Afghanistan in Bristol.